The Berry Bubble Shorts for ladies are beautifully finished. This ladies bubble shorts pattern is fully lined and has no raw edges showing, giving a truly boutique professional finish. 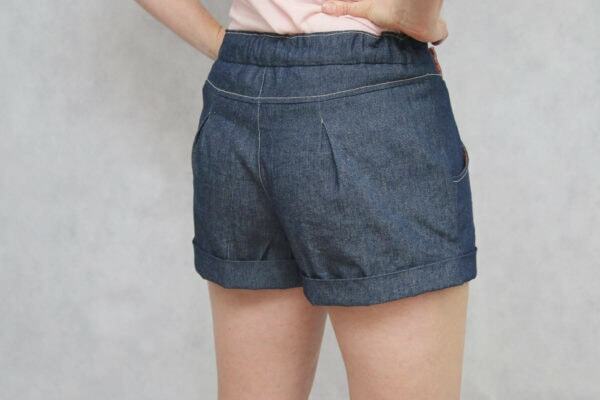 This ladies pattern has short, mid-thigh and knee length options. A choice of leg binding or cuffs gives two totally different looks, and the straight or bubble leg finish means it suits all figures. It has pleats in both the front and back, and an option to use either regular or buttonhole elastic for an adjustable fit across the back. A great look through fall, winter and spring over tights, or just on their own in summer! 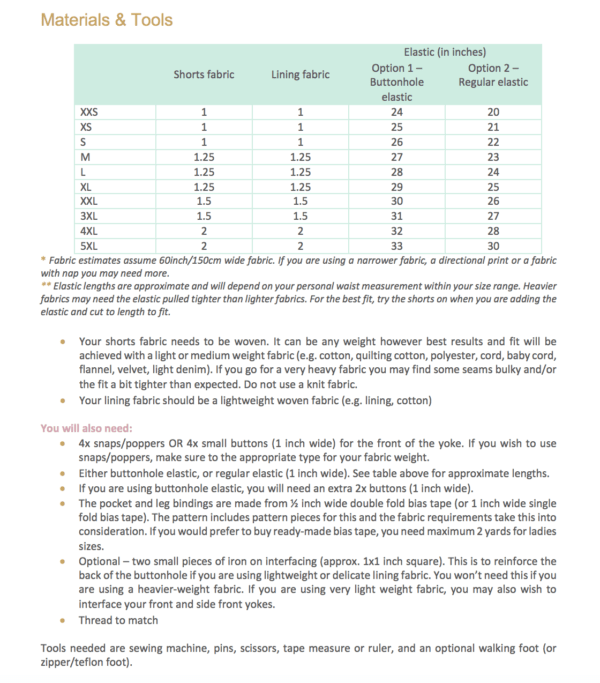 Plus you can use light or medium weight fabrics so they are all-weather. This is the ladies’ version but it’s also available as a matching child’s pattern so you can do matching “Mommy and Me” sets! Get the child’s version here. Plus, there is the cutest 18 inch Doll version too! 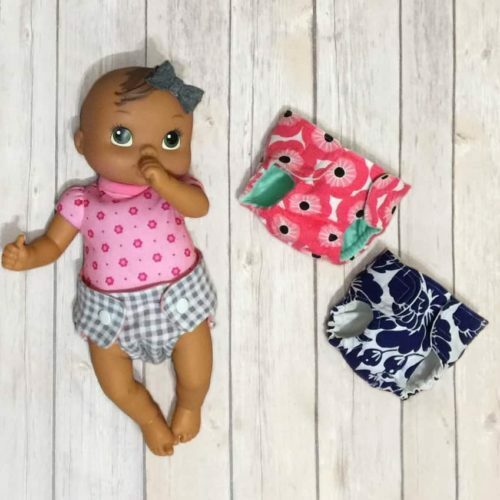 Buy the ladies and child’s version together in a bundle, save and get the dolls version free! Great pattern for all levels. For beginners, It will teach you many new skills. It is very straight forward . There may be a lot of pieces and a lot of steps, but it’s easy to follow and the final product is WORTH it. Love your patterns! The finishing is quite nice, and I love the look of these. I have many friends that doesn’t speak English so they will be thrilled to have a beautiful pattern to use in their first language! 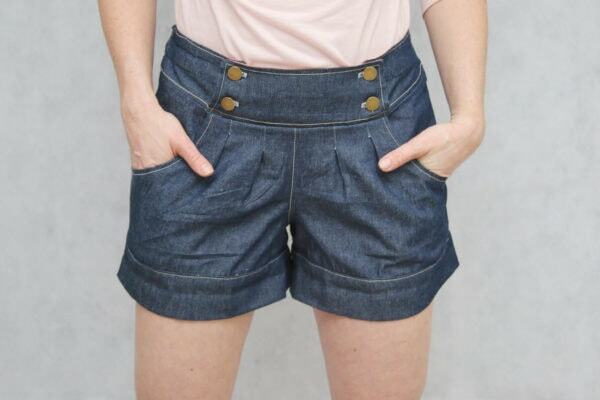 These shorts are totally sewable for a confident beginner to intermediate seamstress. They have a quality finish that makes them comparable to off the rack clothing. I can’t wait to make more!!! I would say that it’s not hard and that the instructions are really good and that it’s pretty easy to customize fit. 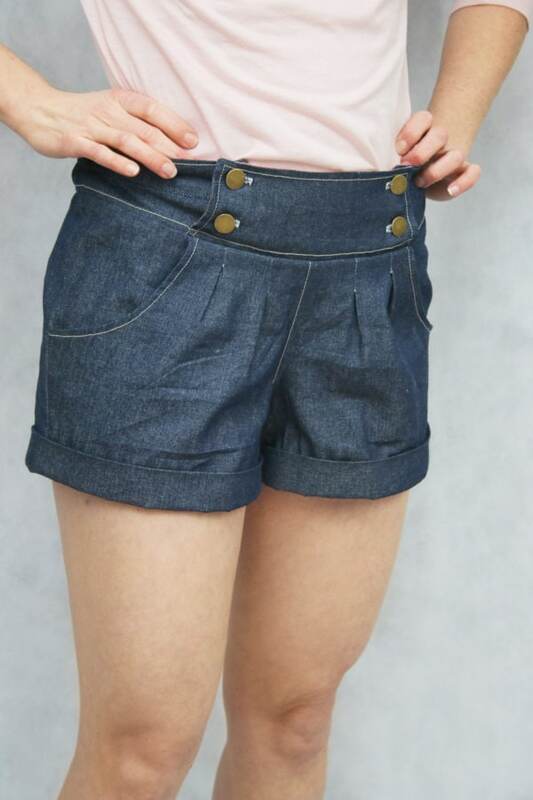 The shorts have ease which makes them comfortable, but they still feel dressier than my other shorts. This is a beautiful and flattering pattern. It’s an easy sew and at the end of it you’ll have pants with pockets!!! Really comfy and easy to follow instructions. It’s very comfortable and fully lined so the inside is as beautiful as the outside. And it comes in 3 lengths. These are absolutely beautiful, inside and out. It is very well written and constructed. The fit is good. They are very cute. You should go for it! It is an easy to follow pattern that even a beginner could sew up with ease. Clear instructions and beautiful finishings! Great pattern for summer shorts with style. Perfect for a sibling/momma and me outfit! 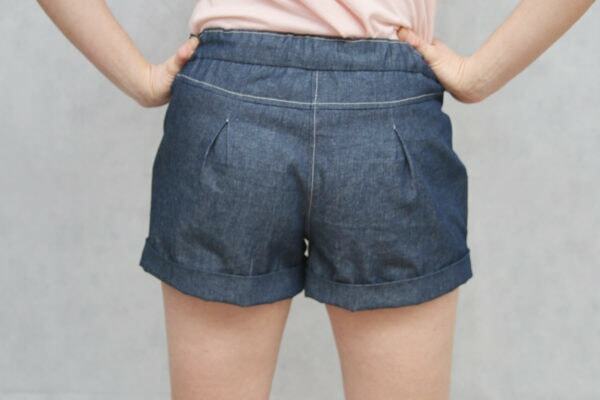 I sewed up the Berry Bubble Shorts Unlined (utilizing the Add-On option), straight legs, with cuff hem. I love the finished look – they are flattering without being too tight or too puffy, and are easy to get on and off thanks to the elastic back band. The instructions are clear and easy to follow, and the pictures make it that much easier to understand each step. 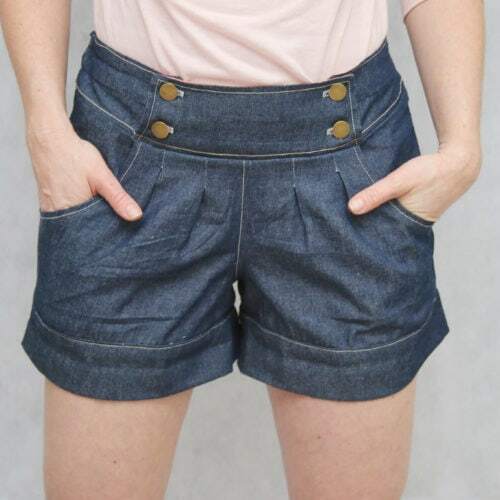 For the summer, these are the perfect comfy shorts (with pockets!)! These are the cutest shorts! There’s no denying there’s a bit of fiddly work in them but they are so worth it. I loved these shorts! They were fun to make and ended up really comfortable when I was done… which I wasn’t expecting. I sewed up the longer version with linen/rayon fabric and added kamsnaps. I can so see making these again with a fancier fabric and gorgeous buttons! This pattern was very easy! It is super comfortable and was very easy to adjust exactly how I wanted it to come out. A confident beginner could easily tackle this pattern with a little patience and a little extra time. I love the result I got from this pattern. I will for sure be making more! The instructions are incredibly clear and thorough which is very helpful. Before starting the project it all seemed a bit daunting, but once I got started, everything flowed very well thanks to the quality of the instructions (and instructional images). I have just sewn my 6th pair of Berry Bubble shorts/pants! I just love this pattern so much especially with the add on. I used a higher rise this time with a shorter yoke/waistband for my own idea on a look. I completely love how they turned out. This is such a great pattern with so many options and great instructions! I wasn’t sure how this pattern would look on plus size, but I love it! The detailed instructions make this somewhat normal complicated and advanced pattern achievable for beginners, too, and the professional finished Rebecca’s uses makes this pattern shine. Such a cute pair of shorts! Very unique and has great instructions. Tag your photos with #berrybubbleshorts on Instagram.